LOOK! A new date to make it EVEN CLOSER to optimum CX weather. Reasons that TODAY may be the best day of 2017. 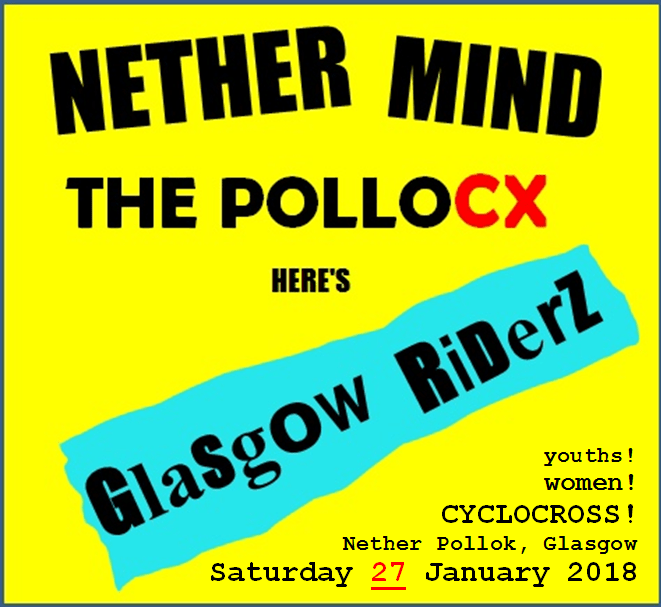 You (and I ) have just had it confirmed that Glasgow’s premier cyclocross race will be returning next year. Even the TITLE should be enough to lift your spirits on this dark, wet and rainy November evening. The Detectorists is back on TV (not strictly cycling related but, like cyclocross, it often features people in a field). You get to look at these photos again, which are enough to make anyone want to ride their bike round a field. And finally, if those reasons aren’t enough, it’s only £5 to enter (kids) or a still very reasonable £15 for ladies.